Democratic California Gov. Gavin Newsom abandoned a high-speed rail project Tuesday that sought to connect Los Angeles to San Francisco. He suggested the high cost of the project made the idea a pipe dream. Newsom dialed back anticipation for the project during California’s State of the State address. The Democrat suggested building a high-speed rail line between Bakersfield and Merced — a distance of 160 miles — rather than a project designed to connect the state’s two largest cities. Former Democratic Gov. 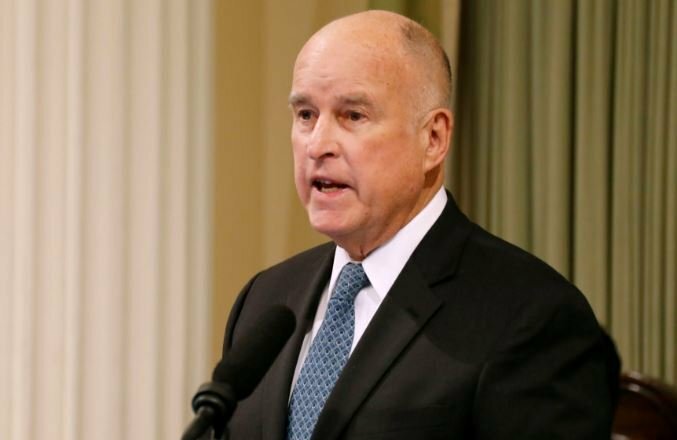 Jerry Brown’s plan would have cost nearly $77 billion and taken more than a decade to complete, according to recent estimates. “Critics are going to say that’s a train to nowhere, but I think that’s wrong and that’s offensive,” said Newsom, who was elected after Brown was term-limited in November 2018. “Abandoning the high-speed rail entirely means we will have wasted billions and billions of dollars with nothing but broken promises … and lawsuits to show for it,” Newsom said, adding that he does not want to send the $3.5 billion in federal money allocated for the project back to the Trump administration. The new ballot initiative would have required any funds not needed for repaying rail bonds instead go to other transportation work. Supporters said the measure staves off criticism that eliminating the state’s recent pricey gas tax makes it more difficult to make infrastructure improvements. Some conservatives in the state are upset that the project will continue to exist in some form.